The Mitre is one Northern Ireland's top eateries. People love staying at the Culloden Estate and Spa because it is a 5 star resort guaranteeing luxury. It is the first choice for celebrities and famous people with the friendly staff ensuring visitors return time and again. It has great facilities on offer to guests with the ESPA Spa, Jacuzzi, fitness centre and a range of luxurious suites. 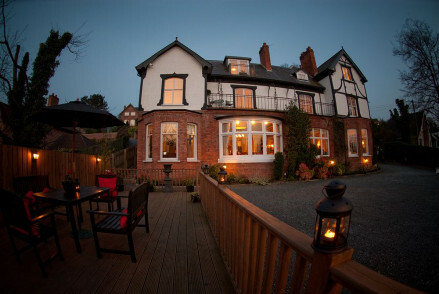 The property has a wealth of history and stands proud in a beautiful 12 acre estate – you can also find some of the best food in Belfast served at the property! 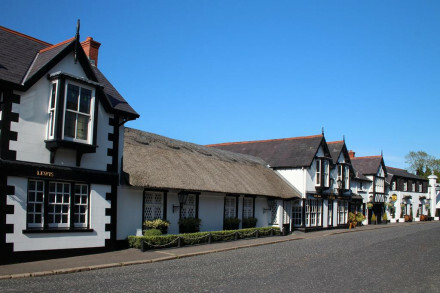 The Culloden has a great location on the edge of the lovely small town Holywood, home to lots of restaurants ranging from small coffee shops to pubs and then more formal dining. The hotel is only 6 miles from Belfast city centre and also Bangor. With its seaside setting there are plenty of scenic walks and breath-taking views. For a bit of Irish culture there is the Ulster folk and transport museum, the Titanic quarter and museum or the fantastic Belfast Tours. You can get a taxi into Belfast centre for less than £10.00. 10 miles away there is also the magnificent Mount Stewart house which is the National Trust flagship house and gardens. For an agricultural experience closer to the hotel the Culloden’s glorious gardens package is great in the summer. A full Irish breakfast is on offer every morning, complete with soda bread, potato bread, black and white pudding and all those typically Irish offerings. Continental breakfast options are also available for those not tempted by a hearty Irish start to their day. What we are particularly proud of is the local sourcing of all our food, meaning everything is fresh and bought to support local suppliers. Another breakfast treat often talked about by guests is the Bushmills Whisky which we offer with your morning bowl of porridge! There are many different dining options for guests; we do lunch in the Cultra Inn, the local pub within the estate, which serves gastro pub style food. Dinner is then available in the hotels Mitre restaurant- named after the hotels previous usage as the Bishops Palace. Afternoon tea is also served with the speciality Hendricks Gin or champagne afternoon tea options. We serve Sunday lunch in the hotel or for a more relaxed option there is a buffet Sunday lunch in the Cultra Inn. We have 20 suites in our 105 room compliment, with the Palace Suite being the grandest, not only in the Culloden but in the province too. Visited by the likes of Robbie Williams and Lionel Richie the Palace Suite offers a range of facilities and unadulterated luxury. 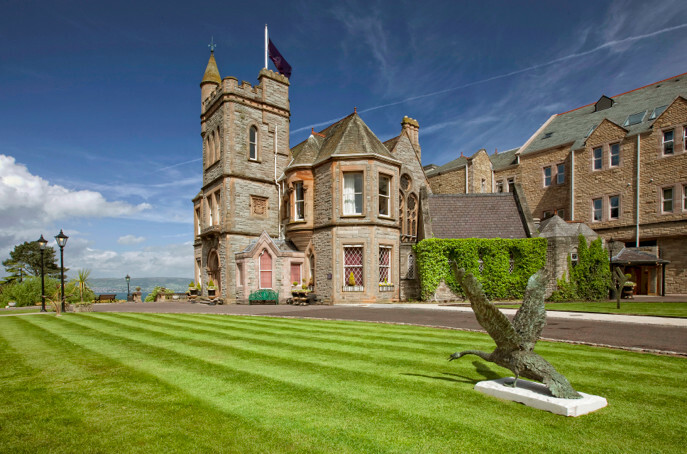 The Tower Suites are in the original Bishops Palace part of the hotel, the rooms are reached up a grand staircase and they all have lots of character with views overlooking the gardens and Belfast Lough. I also like the two spacious duplex suites which are ideal for families wishing to visit. All of the rooms are very popular and occupancy is high, the prices vary with the different rooms ranging from the superior rooms to the grandest suites.